Fertility Solutions offer patients a range of treatment options to suit their individual situation. These range from Bulk Billed*, Low Cost Options (Standard and Intermediate) through to Fully Customised Cycles. With this affordable approach to treatment, you see your specialist for treatment planning and follow up, nurses perform all ultrasound scans, a doctor on a roster performs the egg pick up procedure, and a nurse performs embryo transfer at cleavage stage (day 2-3). 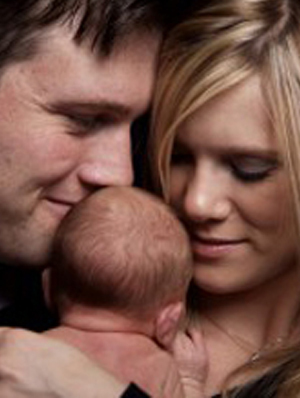 Learn more about the process of IVF. Patients must meet the Standard IVF treatment criteria to access this low cost option. Your specialist or fertility nurse will be able to discuss this option with you more. Click here to make an appointment or phone 1300 FERTILITY (1300 337 845). How Much Will a Standard IVF Cycle Cost? Our new Intermediate IVF option can improve your pregnancy success based on our clinic results. This new IVF treatment offers you access to the same IVF process as a Standard IVF cycle, but you have access to a blastocyst transfer (day 5-6). A blastocyst is an embryo at a more advanced stage of development and our results suggest that patients can increase their chance of pregnancy. Similar to our Standard IVF model, patients see their specialist for treatment planning and follow up, a nurse performs all ultrasound scans, a doctor on a roster performs the egg pick up procedure, and a nurse performs the embryo transfer. Your specialist or fertility nurse will be able to discuss this option with you more. Click here to make an appointment or phone 1300 FERTILITY (1300 337 845). Patients must meet the Intermediate IVF treatment criteria to access this low cost option. Your specialist or fertility nurse will be able to discuss this option with you more. Click here to make an appointment or phone 1300 FERTILITY (1300 337 845). How Much Will a Intermediate IVF Cycle Cost? Should you and your doctor find that neither of these low cost options are suitable for your situation, we also offer patients a customised IVF service. Customised IVF offers patients more tailored treatments that are specific to your needs and can include the use of donor sperm or eggs, as well as use of sperm surgically collected. How Much Will a Customised IVF Cycle Cost? Your doctor can discuss customised IVF options with you. To discuss which IVF option is best suited for your needs, make a free appointment with our specialist fertility nurses or or phone 1300 FERTILITY (1300 337 845). *Conditions apply to Bulk Billed options, click here to learn more.